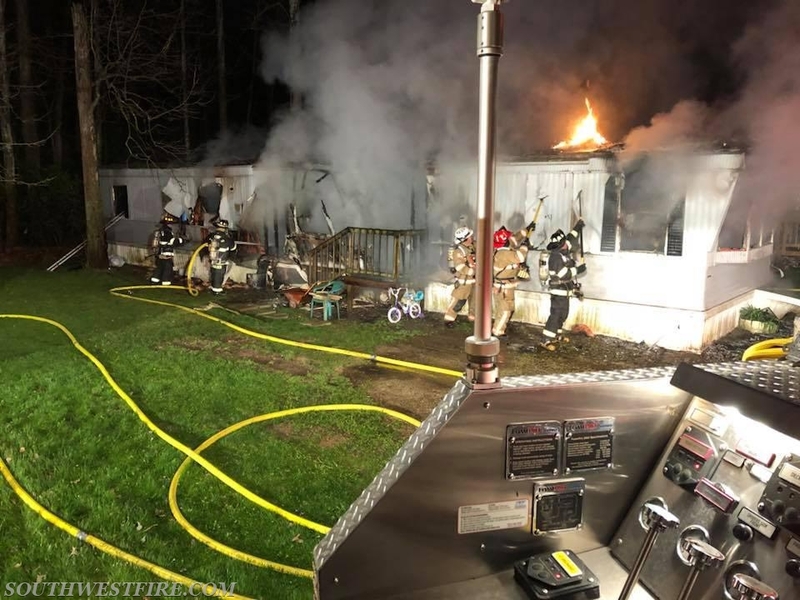 District firefighters were dispatched to a reported mobile home fire in the Stoney Creek Estates on Saturday morning. Upon arriving, Engine 252 found a single wide mobile home with heavy fire showing. Ossian, Uniondale and Air Guard Fire Departments assisted.